What is the point in my svd when i got this sick gun. Not as accurate as the SVD, slower bullet speed, insane recoil and (unless it has been fixed) the AKM is bugged at high range. 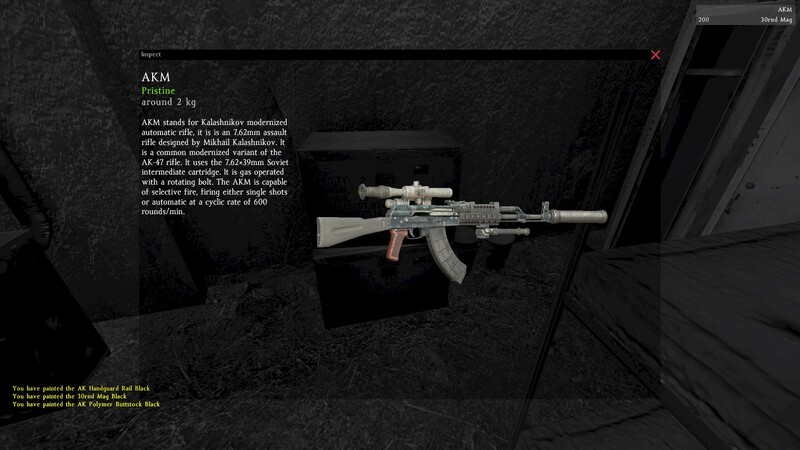 having this issue too attaching the bipod to my AK74.. workaround for this? I’d take a SVD anyday.. yessir. Just my opinion though, as I like to do the sniper/overwatch role. You also need to spraipaint it black.